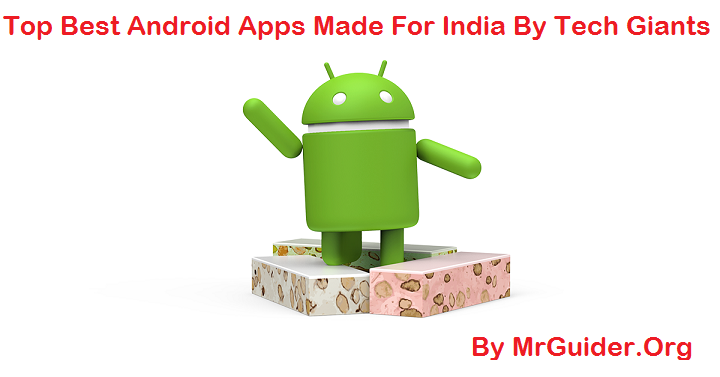 Today We Are Sharing Top Best Android Apps Which Are Exclusively Launched For Indian Users Only. This Year India Beats US In Google Play Downloads. Indians Rank At The Top Of The World When We Talk About App Downloads. This Is One Of The Best SMS App Which Is Only Available In India. Microsoft This Year Launched This App On Google Play Store. SMS Organizer App Comes With Dozens Of Features Which Are Not Available In Other SMS Apps. Filtering SMS – SMS Organizer Automatically Filter SMS Into Different Categories. For Example – Promotional Messages Like Your Service Provider Will Shown In Promotional Category. While Financial Messages Like Bank, Bill, Payment Related Messages Shown In Financial Category. Similarly With Personal Messages. That’s Why It Is SMS Organizer. Block SMS – You Can Block A Sender To Get Rid Of Those Annoying Messages. Themes – Light Theme, Dark Theme. Copy OTP Messages – Many A Times, You Receive OTP Messages, You Have To Note The Code And Enter. With SMS Organizer App – Code Can Be Copy Right From The Notification Bar. Delete Messages Automatically – OTP Messages After A Certain Time Are Not So Useful, Same With Promotional Messages. With SMS Organizer App, You Can Set A Rule – Of Automatically Delete Messages By Going To Settings. Automatically Back Up Messages – You Can Automatically Back-Up Your SMS/Messages To Google Drive With This Fabulous App. Send Free SMS To Any Mobile Number In India -Either To A Simple Phone Or To A Smartphone. You Can Send Daily 30 SMS For Free. Message Signature – You Can Add Your Name At The End Of Each Message You Send – With Message Signature Feature. YouTube Go Is The Most Useful Apps For Indians. Specially Made For Downloading Of YouTube Videos. With YouTube Go App, Users Can See The Preview Of Video Before Playing. Because Sometimes, Thumbnail Of Video Attracts Viewers To Watch Video But Video Is Different. So, This App Will Save Your Data. Downloading Of Video – With YouTube Go, Viewers Can Download YouTube Videos In Two Types Of Qualities – Basic And Standard. You Can Change The Storage Location From Settings To SD Card Also. Share Downloaded YouTube Video – One Of The Main Drawback Of YouTube App’s Download Feature Is You Can Not Share YouTube With Anyone Else. But YouTube Go App Has The Ability To Share Downloaded YouTube Video With Other/Your Friends. This Is Too Simple – Go To Download > Share Video > Send – Tell Your Friend To Open YouTube Go App – Go To Downloads > Receive Video. That’s It. Light Size – YouTube Go App Comes With A Light Size As Compare To YouTube App. Less Data – YouTube Go Consumes Less Data As Compare To Main YouTube App. Download: Here. YouTube Go App Is Currently In Beta/Early Access Program Of Google Play Store And Only Available In India. Users Can Order Food Online – Ordering Food Online Is Not A Difficult Task When You Have Areo App. You Can Choose From Varieties Of Dishes, Restaurants, Providers, And Chefs. Pay The Amount Of Order – Net Banking, Debit/Credit Card On Cash On Delivery. Home Services – You Can Instantly Without Going Outside Of House – With The App – Call Local Plumber, Cleaner, Electricians, Painters, And More. LinkedIn Recently Launched Its Lite App In India. The Lite Version Comes With A Very Light Size – Under 1 MB App – Only 625 KB. LinkedIn Lite Loads The Page 80% Faster As Compare To Its Standard App. If You Are On A Slow Connection, Then This Lite Version Helps You To Browse LinkedIn Smooth. Download: Here. Amazon’s Smallest E-Book App Now Available In India For Android In Early Access/Beta Mode Of Google Play Store. The Main Feature Of This Lite Kindle App Is A Great Reading Experience Even When You Are On Slow Connection. Upcoming Feature – Pay And Set Reminders For Recurring Bills Such As DTH. Tez Offers Better Rewards As Compare To Other Apps – You Can Win Up To 1,000 On A Certain Amount Transaction, And Enroll Yourself In Tez’s Lucky Sundays Contest Where You Could Win 1 Lakh Rupees. Like Us On Facebook – MrGuider, Follow Us On Twitter – @techhuntr, Subscribe Us To Get Latest Updates Right To Your Inbox.